Gemstones are widely popular as a lucky charm for people looking for peace and prosperity. If you are looking for some interesting information on gemstones, their meanings, and uses, the following article will help you learn about the specific powers of each stone. Gemstones have been used throughout the history of mankind for ornamental purposes. 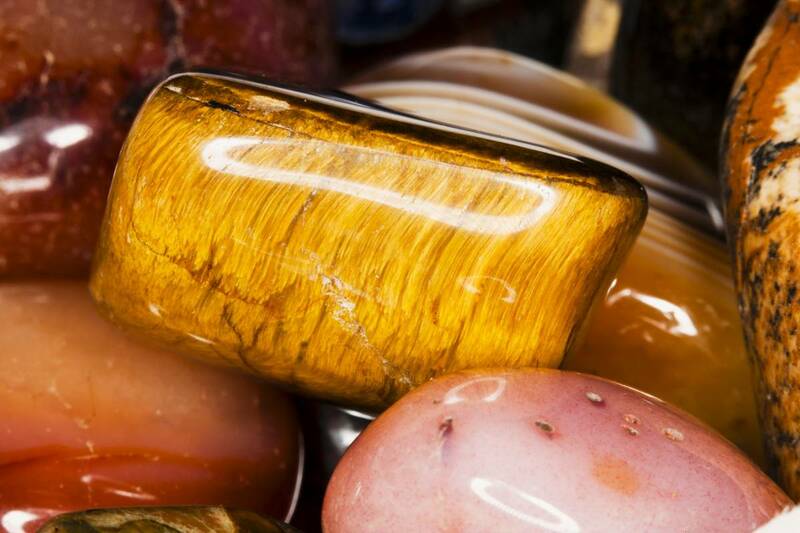 It is believed that the first precious stone that was used as a lucky charm was a colored river rock. It was used by a hunter who stumbled upon the smooth stone, and coincidentally was able to hunt down his meal the same day. Since then, Stonehenge gems have been used as talismans and amulets that helps to heal an ailment or ward off ill-luck, and even serve as a protection from bad luck. Since time immemorial, people have attached specific meanings and uses with these stones, their cosmic power, and spiritual connections. People have time and again used these meanings to help them in their search of luck and prosperity. There are many meanings that are attached to a specific birth month or birth sign. Agate Agate is available in various colors, and comes under the influence of Mercury and Moon. It is a birthstone of the zodiac sign Gemini. It is the 12th and 14th anniversary stone. Love Agate is used for protection against bad dreams, stress, and energy drains. It helps in toning and strengthening the body and mind. It helps impart a sense of strength and courage. Agate helps one differentiate, recognize the truth, and come to terms with reality. It is a powerful healer, and is used for healing stomach upsets. Amethyst The amethyst is the February birthstone. It is associated with the zodiac sign, Pisces. It belongs to the quartz family. Amethyst is purple violet in color and belongs to the Seventh chakra. It is influenced by Saturn, and is the stone for 16th and 17th anniversaries. Stone of spirituality and contentment. Amethyst is known as the 'Bishops Stone', as it is worn by Catholic Bishops. It is said to calm the emotions and help create clarity of thought. It helps in attaining wisdom and help draw attention beyond the mind. It helps one let go of all that's gone and embrace the spiritual destiny. Bloodstone The bloodstone is a green stone with red spots, and is the stone for the zodiac sign Aries. It is ruled by the planet Mars, and is related to the Root chakra. It is a stone for the 45th and 55th anniversaries. Justice This bloodstone is said to have been formed from the blood of Christ, which dripped onto the green earth and solidified into a stone. It has been used to treat nosebleed. It protects against the evil eye, and helps bring change. Coral Coral is available in a number of colors like red, white, black, blue, and brown. It is related to Mars, and is the birthstone for Libra. It is connected to the root chakra. Wealth Coral represents a person's ability to flow and change his or her life, and helps control emotions. It is used as a protection against skin diseases and aids digestion. It has healing powers, and helps in clearing judgment, frustration, and resentment against being told what to do. Cat's Eye Cat's Eye gemstone is yellow or greenish-yellow in color. Grayish-green stones are also found. It is related to Mercury, and is the stone for 39th anniversary. It is a birthstone for those born in the month of November. It is known to help clear thinking and insight. It helps the mind focus and creates a feeling of oneness. It helps protect the wearer from evil eye and brings good luck. Emerald Emerald is available in emerald-green color and is the birthstone for Cancer. This May birthstone is ruled by Jupiter and Mercury, and influences the Annahant chakra. It is the 20th, 35th, and 55th anniversary stone. Fertilizing rain. Also a symbol of faith and hope. Emerald is the sacred stone of the goddess Venus, and is known to preserve love. It is also considered to be the stone of prophecy, and is believed to bring thoughts of reason and wisdom. It is in its highest power during full moon and is known to cure any disease of the eye. Emerald vibrates with love and gifting an emerald to your lover with pure intentions of love will bring him or her closer to you. Jade Jade is a green-colored stone that relates to the zodiac signs of Pisces and Libra. It influences the Annahat chakra, and is the 12th anniversary stone. Symbol of successful love Jade is an ancient gemstone that has been used to attract love. It is also used to bring money into life, and helps protect one against accidents and misfortunes. It is known to be helpful against heart diseases, kidney problems, and stomach complaints. Moonstone Moonstone is a milky white to silver-blue stone in color. It is related to the Moon and the third chakra. It is lucky for zodiac sign Cancer. Passion It is said that giving moonstone to your lover during a full moon night increases the passion for each other. Moonstone is also known to promote good fortune, enhances intuition, and brings success in matters of business. It is a stone for inner growth and strength. Opal Opal is a white stone with varying rainbow flashes. Opal - the October birthstone, influences the zodiac sign Libra with positive energy. Hope and Good Luck Opal is said to have healing powers. It is known as the stone of great achievement, hope, and more famously as the stone of the Gods. It has angelic connections, and is known to balance all chakras. Ruby Ruby is deep red in color and influenced by Mars and Sun. Ruby - the July birthstone also influences the zodiac sign Capricorn with positive energy. It is the anniversary stone for 15th and 40th anniversary. Friendship and Love Ruby is the most powerful gemstone in the universe. It is known to ward off bad dreams when kept under a pillow. It is also a symbol of vitality and royalty. It aids in blood circulation, and helps in cleansing the blood. Sapphire Sapphire is available in blue, green, pink, purple, and clear colors. Sapphire, the September birthstone is associated with Aquarius, Virgo, Libra, and Capricorn and is also referred to as the 5th, 45th, and 70th anniversary stone. Symbol of heaven and joyful devotion Sapphire is known as the 'Stone of Destiny', and is known to promote financial rewards. It helps clear mental clarity and perception. Topaz Topaz is a very hard gemstone that is yellow, pink, or blue in color. It is the birthstone for Sagittarius. Blue topaz is the 4th anniversary gemstone and Imperial topaz is the 23rd anniversary stone. Topaz aids in self realization and confidence. It draws love towards the wearer and helps bestow charisma to the wearer. According to the Book of Exodus, it is said to be one of the twelve breastplate stones of the High Priest It protects against envy, disease, untimely death, and brings in wealth and money. You can approach an expert to know more about the meanings of gemstones, and wear jewelry that will suit your luck. One should be careful before choosing a gem, as a right one will bring you luck. On the other hand, a wrong gemstone may prove to be very unlucky. One does not know if gems affect a person's destiny or not. You can always try wearing gemstones under expert guidance.